Rev. MarciaGrace received a B.A. in philosophy and religion from Stony Brook University in 1990. In 1995 she graduated from The New Seminary and was ordained as an Interfaith minister. She has performed hundreds of weddings and baby blessings, taught classes in metaphysics and religion for 30+ years, and has spoken at various religious and secular groups throughout the New York metropolitan area. She has organized and led several spiritual retreats on Long Island and has been a chaplain at Northwell Health in Manhasset. MarciaGrace has spent more than 30 years studying and teaching the principles of A Course in Miracles. She holds weekly classes locally on Long Island. 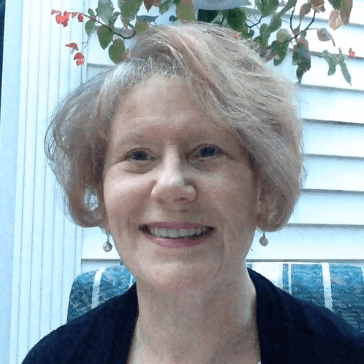 As a service to out-of-towners, she now conducts a weekly online membership class for students who want an in-depth understanding of the principles and dynamics of ACIM. Join the group HERE. In 2012 she began sharing a mind altering program which she developed over the years. Her seminar, Unveiling the Heart, is a series of classes which teaches a new approach to beginning one’s day—a morning process that will instill confidence, calm and creativity when practiced. See www.unveilingtheheart.com for the next seminar. Widowed after 42 years of marriage, mother of grown children and ‘Nana‘ to seven grandchildren, she brings to her ministry an understanding of the dynamics of marriage and family life as well as a deep awareness of the difficulties we as human beings face as we go about our day. Her mission is to assure every individual she works with that she or he has the power within to meet all crises and joys with equanimity and strength. Today I often joke that I’ve lived several incarnations in my present body. And, in truth, I am nothing like the nervous, shy, insecure young woman that once inhabited this physical frame. At some point, I realized how miserable and fearful I was (although I did a great job of putting on a ‘happy face’ for the world.) This awareness led me to dive deep into the literature of self-understanding. I read and read—books on religion, on mental disorders (yes, I’d actually sit and read the DSM III like a novel! ), on psychology, on spirituality, on yoga, on breathing and of course, on self-help. Then, in 1978 I found A Course in Miracles, which changed my life. Fast forward, in late 1993, while writing a newsletter for A Course in Miracles with my colleague JoAnn Barrett (who today has a thriving ministry in Melville, NY), I noticed a mailing on her table for The New Seminary for Interfaith ministers. Long story short, I suggested we go and she agreed! We studied, we sang, we debated, we cried our way through our 3 years at Seminary. In our first year I began to experience things in myself that scared the hell out of me, literally! It was exhilarating at times, and terrifying at others. And here’s where the new persona, MarciaGrace, was born. That experience was a huge shift in my consciousness. Being the perennial student that I am, I researched the meaning of my angel’s names. Marlon may have come from the French, wild falcon, or from the English, a form of Merle or Merlin, sea fortress. In either case they both depict strength. Anita, as turns out, is the diminutive of Anna which comes from the Hebrew, Hannah, which means grace. 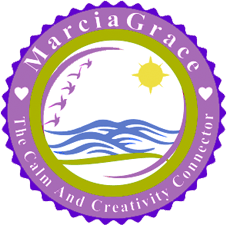 For ease of use, I shortened my new name to MarciaGrace.